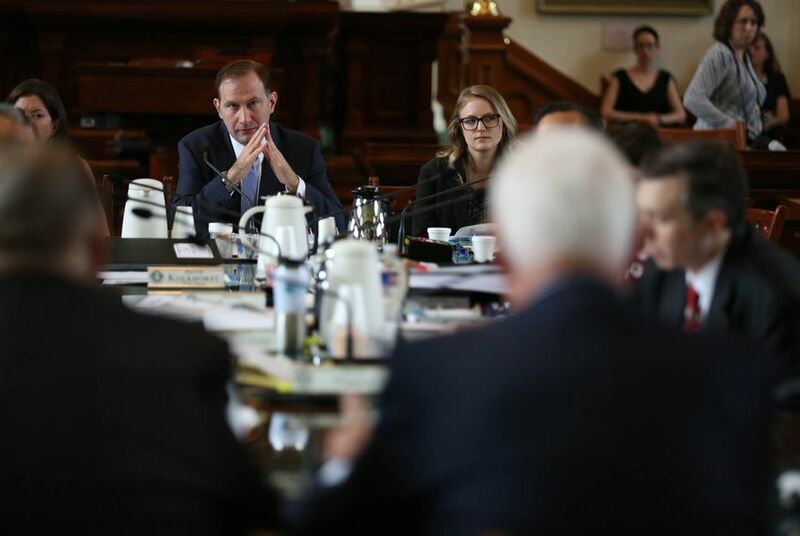 The timing of sexual misconduct allegations against Texas state Sen. Charles Schwertner could affect more than his election chances in November; it could affect the chances of other Republican candidates whose districts overlap his. An allegation of sexual misconduct against state Sen. Charles Schwertner, R-Georgetown, might not ruin his re-election, but it could foul things for other Republicans on the ballot — particularly in Williamson County. If that’s proved correct, and quickly, the political ramifications should disappear as quickly as they arose. But time is short this late in the election season; Schwertner not only has to dispel the accusation and the political chatter — he has to do it right away. The news report yanked attention to a state Senate race that wasn’t on anyone’s list of hotly competitive elections, and it heightened apprehensions among Republicans who might be affected if this dampens enthusiasm among the senator’s voters, particularly in Williamson County. That’s the most populous of the nine counties in Schwertner’s sprawling Central and East Texas district, which reaches from Williamson east to Walker County and north to Limestone and Freestone counties. The majority of the voters in his last election in 2014 were in Williamson (59 percent) and Brazos (18 percent) counties. It’s an overwhelmingly Republican Senate district. Republican Greg Abbott beat Democrat Wendy Davis by 30 percentage points in the 2014 race for governor. Donald Trump beat Hillary Clinton by 20 percentage points two years later. In his last election, Schwertner got 65 percent of the vote with both a Democrat and a Libertarian in the race. He won in all nine counties; the low spot was a 60.5 percent win in Robertson County. It’s his to lose. Or it was before the scandal whistle blew. The incumbent has two opponents this time — Democrat Meg Walsh and Libertarian Amy Lyons — ready to jump if the frontrunner falls. It would take a very, very long fall to beat a Republican in the state’s 5th Senate District. But misfortune in a race like his could fall harder in contests where Republicans don’t have the lead Schwertner’s got. Williamson County is critical to U.S. Rep. John Carter, R-Georgetown, who’s in a high-profile dogfight with former helicopter pilot M.J. Hegar, a Democrat. Carter can’t afford to lose rattled conservative voters, and a Schwertner stumble could put him in a vise, with U.S. Sen. Ted Cruz and U.S. Rep. Beto O’Rourke in a close race for U.S. Senate above and the state Senate race below. The Texas House seats currently held by Reps. Tony Dale, R-Cedar Hill, and Larry Gonzales, R-Round Rock, could be affected in the same way. Dale faces Democrat John Bucy and Libertarian Zack Parks in a district that leans Republican — but without much of a safety net. Gonzales isn’t running for re-election, and that district is also a close one. Trump beat Clinton in Gonzales' district and Clinton beat Trump in Dale's, but the presidential candidates were separated by less than 3 percentage points in each race. Republican Cynthia Flores and Democrat James Talarico are on the ballot there. Unlike the nine-county state Senate district or, for that matter, the two-county congressional district Carter is defending, those House districts were in play before the allegations surfaced. Like any politician this close to an election when allegations of bad behavior arise, Schwertner is fighting on two fronts. He’s hired lawyers to deal with the legal issues, and UT is doing an investigation to see what texts actually were sent, who sent and received them, and so on — to figure out whether anything criminal or improper took place. And he’s got a political issue or, if you prefer, a public one: If it’s confirmed that nothing inappropriate took place, how will the voters view all of this? Their support and turnout will affect the senator — and with him, his fellow Republicans on the local ballots. Correction: An earlier version of this column said Donald Trump beat Hillary Clinton in Tony Dale's HD-136; in fact, Clinton narrowly beat Trump. Analysis: Some voters want candidates who watch what they say. Some don’t.